The folks at Ahmad Tea take only the finest teas from all around the world and blend them to bring you a rich taste and truly delicate aroma. Their Loose Leaf Jasmine Green Tea is made with delicate green China long leaves with the young buds of the Jasmine Flower. 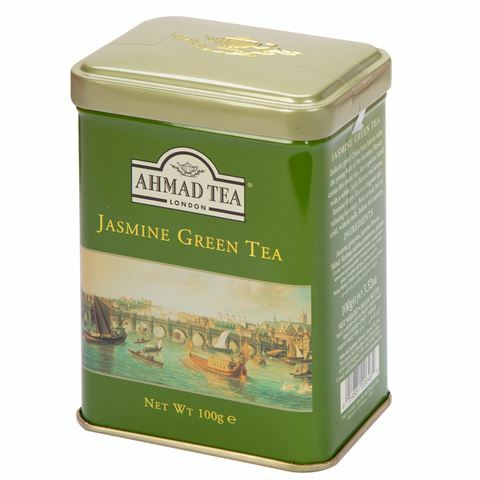 An exquisite blend with a subtle, light flavour and aroma, Jasmine Green Tea is a fragrant and relaxing beverage. Contains a blend of China long leaves and young buds of Jasmine Flower. Variety: Jasmine Green Tea (Loose Leaf).